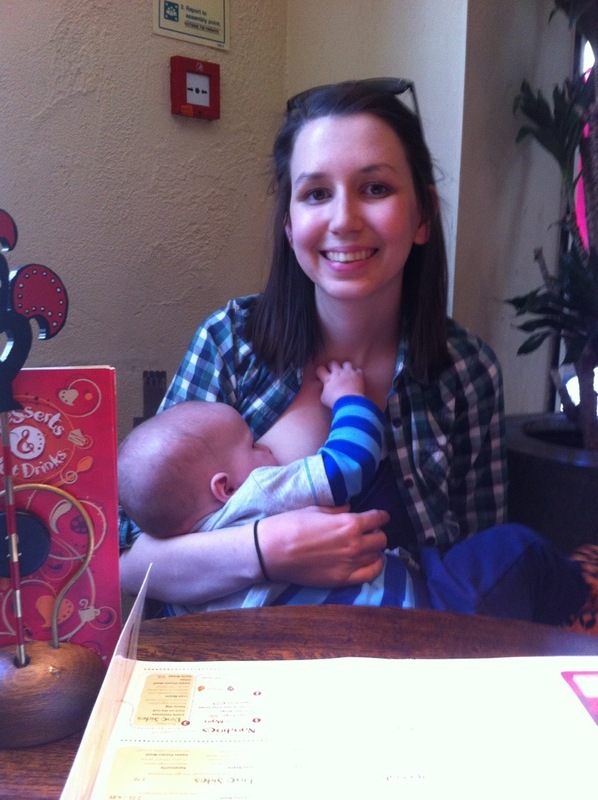 Nando’s | Today I Breastfed. Eeek, I can’t believe it’s been 30 days since my last post! Time truly flies when you have a little one – especially a little one who has learned to crawl (!!!). Now I literally cannot take my eyes off him, he is into everything, especially the things he shouldn’t be! This particular picture is from last weekend, after we had a look around Swansea market. We popped to Nando’s restaurant in Swansea for a spot of lunch – baby particularly enjoyed his chicken! This entry was posted in Uncategorized and tagged baby, breastfeeding, chicken, child, food, health, mother, mothering, Nando's, NIP, nourishing, nursing, nutrition, Parenting by Today I Breastfed. Bookmark the permalink.